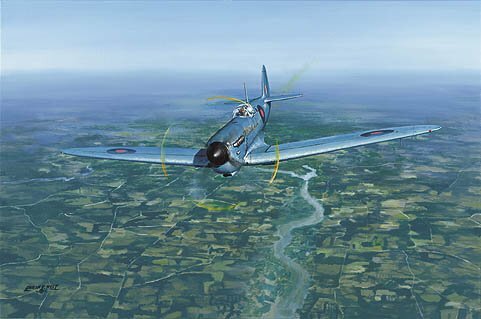 17th May 1943, Sqn. Ldr. Frank (Jerry) Fray in his Spitfire PRX1 of 542 Squadron operating out of RAF Benson, Oxfordshire, returned alone and unarmed to gather photographic evidence from 30,000 feet of the Mohne dam which had been breached earlier the same day by 617 Squadron Lancaster bombers.